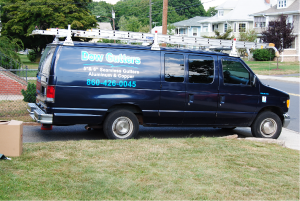 Dow Gutters is the leader in gutter repair services in Southington, CT. As a locally owned and operated business, we pride ourselves on providing professional gutter repair services in our community. 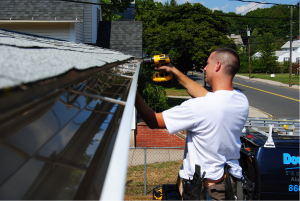 We work on both residential and commercial properties, ensuring the gutters and downspouts are professionally installed and repaired to our customers’ satisfaction. We can match almost any color to the existing gutter and have a variety of new colors to choose from. Excess debris, such as leaves and sticks, in your gutters, can pull the gutters away from their original pitch. The build up of rain water, snow and ice can also cause damage to the fascia, roof and eventually interior of the property. Our licensed and insured crew will clean out and repair the existing gutters, ensuring that they are properly installed and directing water away from the structure to prevent future damage.